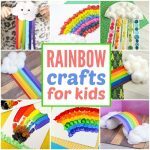 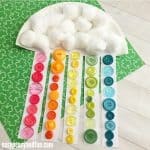 We are sharing another wonderful rainbow craft tutorial with you today as we are making a cute paper rainbow kid craft (in noway limited just for kids). 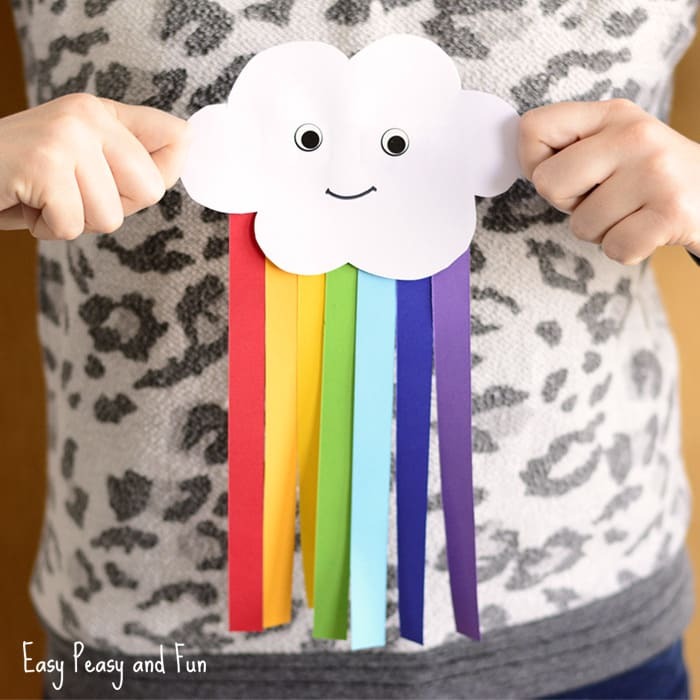 This is a quick craft to make, so it can be a perfect project for hands on scissor practice in the classroom as it doubles up as a wonderful decoration. 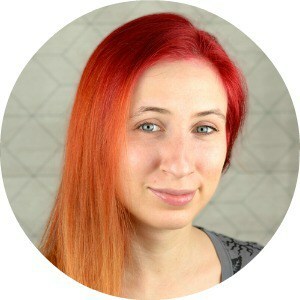 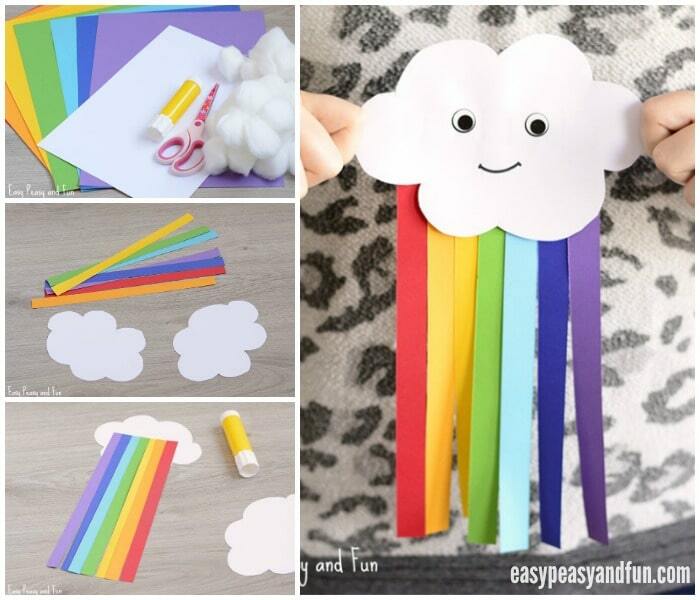 You will need one long strip of paper in every color of the rainbow. 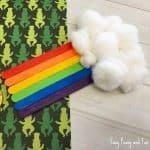 Have the kids cut the strips (if they are old enough to handle scissors) or cut the strips before hand (a great activity to teach colors of the rainbow). 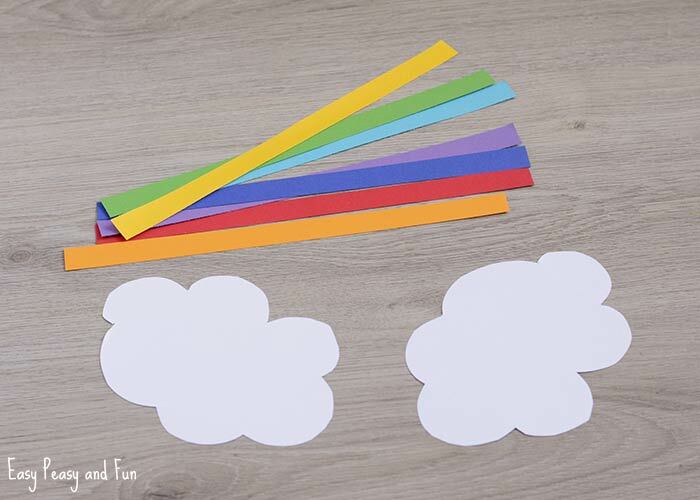 Cut a cloud shape. 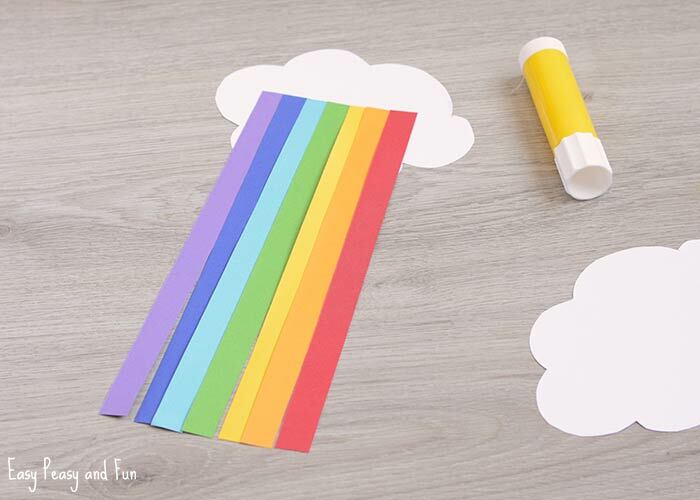 Glue the colorful strips of paper on one side of the cloud. 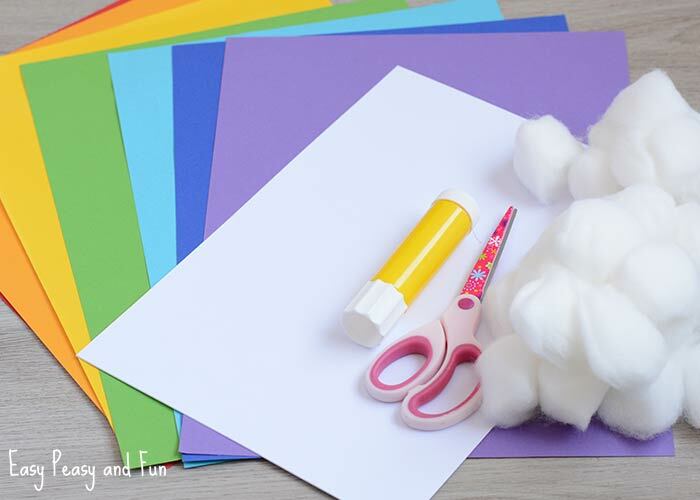 Let the glue dry, if using white school glue, glue stick will set almost imediately. 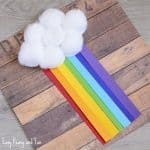 Flip the rainbow cloud over. 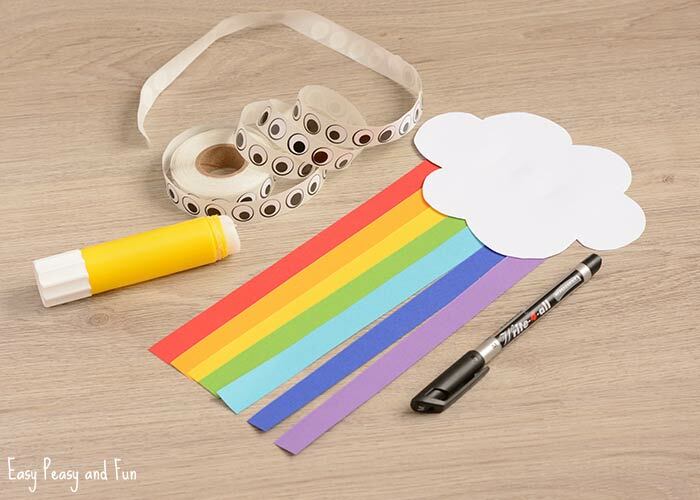 Stick on two wiggle eye stickers (stickers are super fun!) 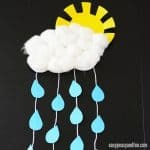 or draw the eyes. 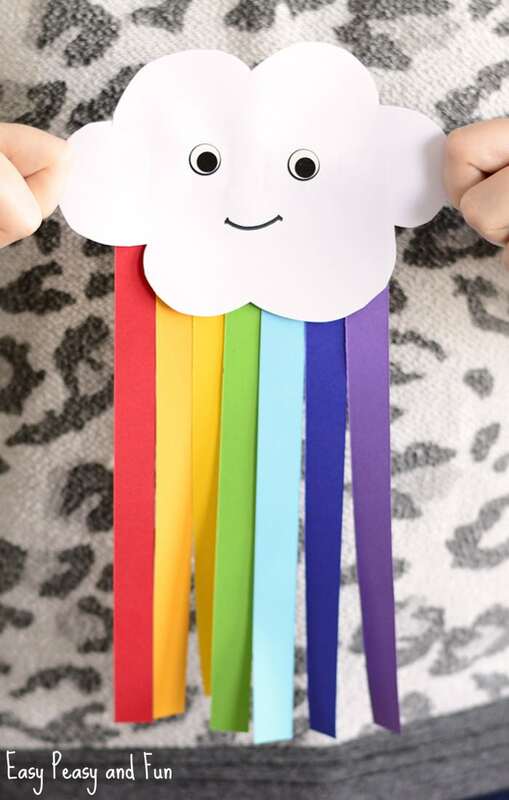 Also draw mouth for a super cute looking face. 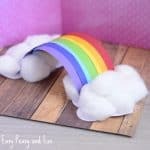 This Cute Paper Rainbow Kid Craft is all done and ready to be placed somewhere in the room as a decoration!